BRUSSELS (Reuters) - China and other major steel-producing countries failed on Monday to agree measures to tackle a global steel crisis as the sides argued over the causes of overcapacity and whether Beijing is keeping loss-making producers afloat. A meeting of ministers and trade officials from over 30 countries, hosted by Belgium and the OECD, sought to tackle excess capacity, but concluded only that it had to be dealt with in a swift and structural way. Britain in particular has felt the squeeze as its largest producer Tata Steel has announced plans to pull out of the country, threatening 15,000 jobs. At a news conference following Monday's meeting, deep divisions were clear. 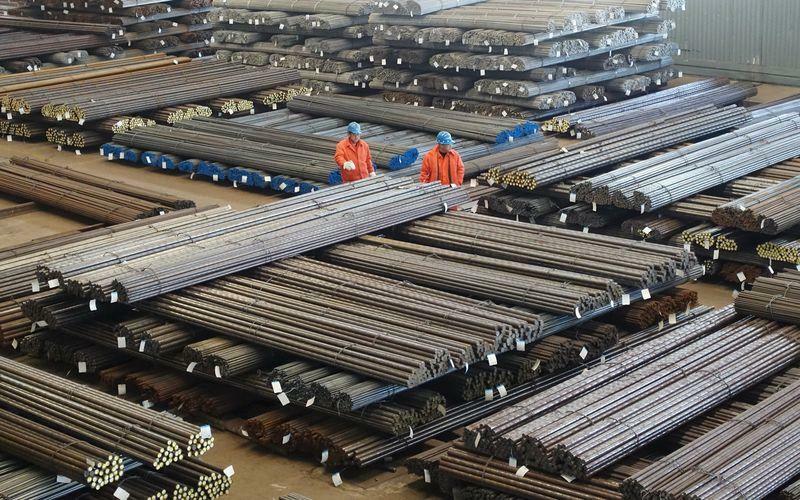 China's assistant commerce minister, Zhang Ji, countered accusations that Beijing subsidizes steel exporters, saying that China had cut 90 million tonnes of capacity and had plans to reduce it by a further 100-150 million tonnes. "That is only 10 million tonnes less than the capacity in Europe," he said, although critics say it would still have a capacity of around 1 billion tonnes, far in excess of its needs. China says the fundamental cause of steel overcapacity was the collapse of demand due to the 2008-2009 financial crisis and that the issue of excess capacity is a global one for all countries. International trade, it says, is not to blame. However, deputy U.S. trade representative Robert Holleyman said Zhang's talk of steel export subsidies missed the point. "What we are talking about are subsidies that encourage steel capacity or that sustain loss-making enterprises or plants," he said, adding that a "critical mass of economies" needed to agree additional steps. Cecelia Malmstrom, the EU's trade commissioner, insisted that governments should not grant subsidies that keep enviable plants running and should subject state-controlled firms to the same rules as the private sector. Mexico's Economy Minister Ildefonso Guajardo also highlighted the problem of cheap imports, saying domestic producers had half of the local market in 2010, but only 25 percent now. The OECD Steel Committee is made up of 25 members and associates such as Brazil and Russia, with China, the world's largest steel producer and consumer, also invited to participate. A further high-level discussion is provisionally set for September.